REJOICE! AND, HAVE A MIRACLE TODAY! Dear Beloved Beings of Light! Refresh yourselves therefore in this reading. Let me refresh you. Be ye REBORN! Come to me. Close your eyes. Let me touch you softly upon your forehead – there. Feel my touch, my love. This day a miracle is coming unto you. Give thanksgiving IN ADVANCE. This demonstrates your Faith. In Faith, you shall be blessed. Nothing is impossible to those who believe. I know many of you say, I HAVE believed and it was not done. Look, therefore, to Abraham. He trusted over and over again and had to prove himself to God. Why? It just was necessary. And, now he lives forever an example of what TRUST and Faith and Belief look like. He received his Miracle! Let him be your example, your mentor. DO NOT GIVE UP... For YOUR DAY HAS COME! What Is Your Role In This Life? = Your Task, Your Path? The answer lies in your inner reality. It is always about staying close to yourself…your emotional, spiritual inner self… the “way” lies within. Your way lies within you. It is often so hard to accept this, because we are taught from infancy to DO, to take action, and then, the outer world govern us. But, we’re so used to it, we don’t notice it. And, then we judge ourselves – when we are perfectly beautiful and innocent and trying! Our physical reality is NOT governed by outside events or people. The reverse is true! It’s our own inner world that attracts to us our good ~ or our fears. We may get tired of hearing this. Why? Because, we DO try over and over, and it seems to no avail. Have patience. Be WILLING! Once more. Believe your HEART and not your head - the logical mind. Believe in your passion, your inner Guidance, your Joy. THIS is pointing the way for you. Guidance is WITHIN, and not in the world of form. FEEL AS IF IT IS PRESENT NOW! And, it shall be. You are already familiar with this inner world, with the peace and calm that you can find there. For this reason, you are at this time to be guides or teachers for others and to be that in the most free, gentle sense of the word. Not like those who are leaders in the traditional sense, but to be a living example of how to make a deep connection within yourself, with what transcends the earthly life, with what transcends outer certainties, and with what is independent of these – a connection with your soul. No matter what else is your calling or what you are doing ~ To radiate this connection to others is in a sense your life’s mission. It brings you directly into the core of who you are, and in this way, you also touch others and invite them to do the same. When YOU GIVE AWAY what it is you want ~ this is the FASTEST way to attract it to yourself! BE HERE NOW ~ Living with Power! Hello and welcome to the channeling. This is Betsy-Morgan here with Sir Paul, and we’re so glad that you have joined us today. We’re going to begin by once again allowing ourselves a moment to center so that we can feel this lovely energy that’s always round us. So together collectively we release anything that might be trailing on our energy field in our thoughts or emotional bodies as unpleasant, any worrisome thoughts, any emotions that you feel were hurtful. We invite 100,000 angels to come to us right now and to cleanse us, bringing in their love and their light. They easily and joyfully lift away from us all negativity of any kind—emotional, mental, physical—and allow us to reside in Heaven, Heaven on Earth. And we are hereby reminded that Heaven on Earth is a choice that we have moment-to-moment. It is available to us right now. It’s within. We’ve been fooling ourselves. We’ve been looking outside for our Heaven, and we all had preconceived, pre-constructed ideas about what Heaven is to us as individuals. We’ve taken it upon ourselves to imagine, to create a Heaven, and if the world does not abide by our own imagination of what it should be, then we let ourselves get upset. But who is to say what Heaven is? Let’s take a look at that for a moment before we go deeper. Right now I want you to know I am talk-channeling. I am being influenced by the Divine I Am. They are coming into my thoughts, allowing me to be spiritually open, and they are being creative with my own vocabulary to construct for us understandings and peace. Oh here they come in deeper. I’m going to let myself go deeper. And so it is. Amen, amen, amen. "Beloveds, We recognize that ALL are one with the Divine, that is why we can open to you upon request. With your recognition of the One, and your acceptance that YOU are the Truth, you can have your Miracles! Why? Because, you are already one with that which is everywhere present at all times. Give thanks for that knowledge and ask for that mental truth to permeate in and through your hearts so that you can recognize moment-by-moment the Truth of your being, that you are already whole and perfect, and 100% creative....One with God. You need do nothing but relax and enjoy the peace and the truth that is the beauty of your existence and come from there rather than reacting from fear. Rather than seek God, come FROM God...for that Divinity is WITHIN you! This year, 2017, release all thoughts of separation. You are One with the Creative Source, that that is intelligent and loving. Simply envision, feel, and accept....and "It is done". What is Channeling? = Listening to the Voice of God! As a new psychic, I would encourage you to continue to strengthen the trust you are building with your Higher Self, and your guides and angels. As I read your email, I can "see" that you are mainly using your top chakra (Crown & Channeling chakra) to channel...when you channeling it is VERY high vibrational work and we don't now what is going to be said until we hear the words as our client hears the words...so, the answer may surprise even US! This is normal for a psychic channel. 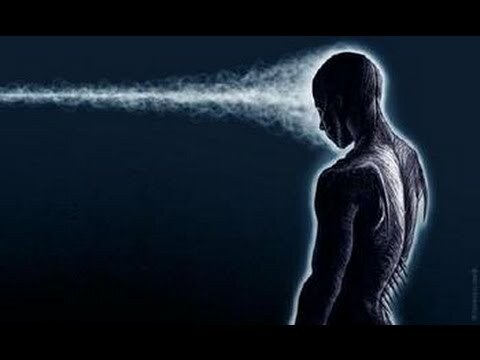 As you continue to channel, you will develop your third eye chakra (forehead, psychic, clairvoyant) and you will add more info to the reading by "Seeing" what is coming for your client and it gives you a greater sense of trust as we (the psychic) feel more in control...something our ego loves. In the mean time, remind yourself and your client that THE GUIDE is giving the information NOT YOU. That this is spiritual information that only Spirit knows...also, let them know that as they themselves change their inner beliefs, PLUS love themselves more, and visualize the outcome they prefer....the future may CHANGE! Let them know that we are co-creating with God. "As above, so below"...or as in consciousness, so in physical reality. God want us happy. God wants us powerful. "These and greater things shall you do." So, there is a Law = "God and I are one". Meaning, whatever we want, believe, focus on, AND ACCEPT....is ours! "Be vigilant"...or watch your thinking! Every minute we are creating an outcome....what YOU are doing for them is letting them see what they are attracting. THEN, if they don't like it = remind them that they have FREE WILL and can change the way they are using the Law. We are never victims. (Only of our own unconscious thinking!) Let them know that you know what they want to hear...and you want to tell them that...but, even more - you want to tell the truth, or what Spirit is telling you to say to them. NEXT! Ask Spirit what they are learning from the challenge they are going through and tell them. NEXT! Ask Spirit if there is a way they can avoid or change that outcome they don't like. Most of all = YOU continue to trust Spirit, and look for the "waterfall of Light", and keep practicing, and ask Orion to help you. You are doing GREAT!! For 25 years, I have been a psychic medium and channel; and, I have done thousands of readings for people either in-person, on the phone or online. I find that all of these ways work just as good as the other. It really is person preference. What is wonderful about conference call or online readings is that you can have a reading with the psychic of your choice because you have access to a global market! WHAT IS A PSYCHIC READING? A psychic reading is : “the receiving of amazing and accurate information about you from an extremely loving Source”. It’s like climbing to the top of a mountain where the view is better. Or, energetically crossing a bridge into greater availability of what is true for you in your life. With a channeling or psychic reading, you can discover ways to achieve your greatest desires! The person who is reading for you has access to this exciting information through their spirit guides & angels, or clairvoyant ability. A good psychic can tell you just about anything! YOU CAN LEARN TO BE A PSYCHIC MEDIUM OR CHANNEL IF YOU WANT TO! I have been teaching “Opening to your Psychic Ability” and “Learn to Channel” internationally for years. Many of my students have gone on to become professionals, living lives of great fulfillment and even prosperity. Because of this gift of teaching channeling and opening others to be psychic, I have often been called, “Teacher of Teacher.” I love this nickname. There is nothing I am more passionate about that helping others achieve their dreams! Psychics, mediums, channels and energy healers are Light-workers. These are loving people who volunteered, often before birth, to help our planet & all the people on it to heal and become happier. Each light-worker or psychic channel is here for a sacred purpose. Very often, however, our belief that we are “only human” creates a form of amnesia in us. Then we question our own desire to help, or serve, in this way. You may have forgotten. But, something in you reminded you, and that is why you are reading this article. You are ready to wake up to your true purpose in life. Everywhere on the planet right now, light-workers, psychics and channels are awakening to faint memories about why they came to earth. They hear an inner calling that can't be ignored..
You can fully awaken to your innate spiritual gifts, such as psychic communication skills and spiritual healing abilities, through taking one of my exciting channeling classes. Here you will discover the gifts you were born to give! You don't need to add anything to yourselves to prepare for this class or your mission. You already have natural abilities, even if they are presently dormant. Just release the fear that you are not ready. That is all that keeps one from following one’s calling. Remind yourself that your spiritual power comes from your higher self and God & then you will automatically feel more assured of your abilities as a spiritual healer within the psychic power network. If you are ready for a life-changing, exciting and fulfilling experience and want to become happier while adding to the joy of the planet, what are you waiting for?! Click Here!